Received a PAG 80 as a gift that I've wanted in 2008, it was about $100 at the time. It is a great watch to have with you. 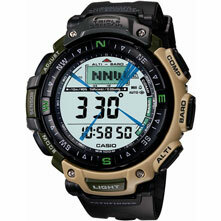 But, you must make adjustments to the ALTIMETER and Barometer to get correct Compass direction. Welcome to Trailspace, BMB. 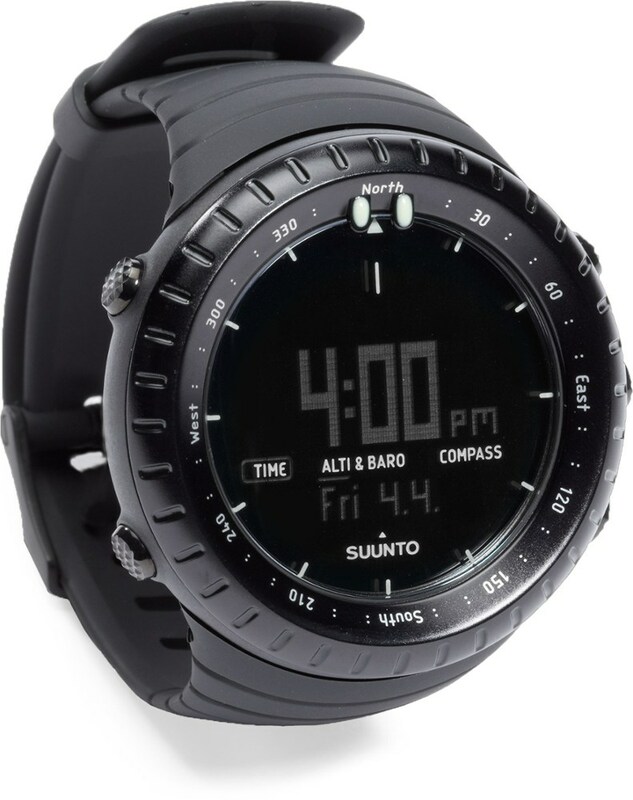 Can you explain why the ALT and Barometer have to be adjusted for the compass???? Also, I'm curious about what "the little eye" is. Welcome to Trailspace, BMB. 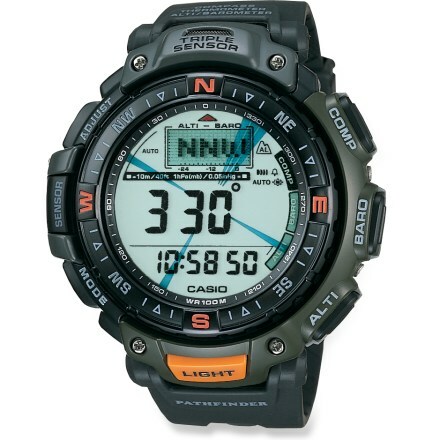 I'm also curious about what you need to adjust with the altimeter and barometer for the compass to work correctly. So far I am very pleased with this watch. I love all the features it has. The compass works good, it is not accurate enough for map work but it will keep you going in the right direction. The recessed watch face is good and with the stainless steel bezel around it, the potential for scratches or scrapes on the watch face are minimized. 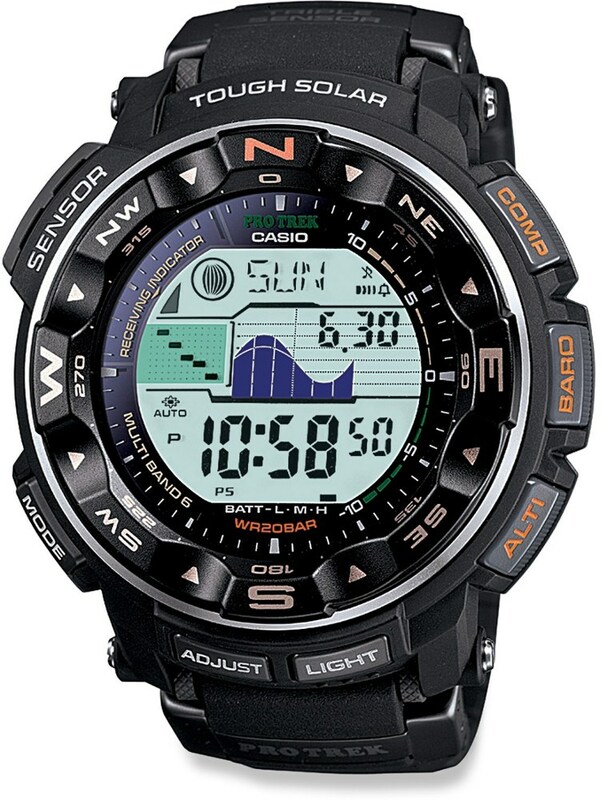 It is definitely water proof as I found out and all watch functions perform as advertised. 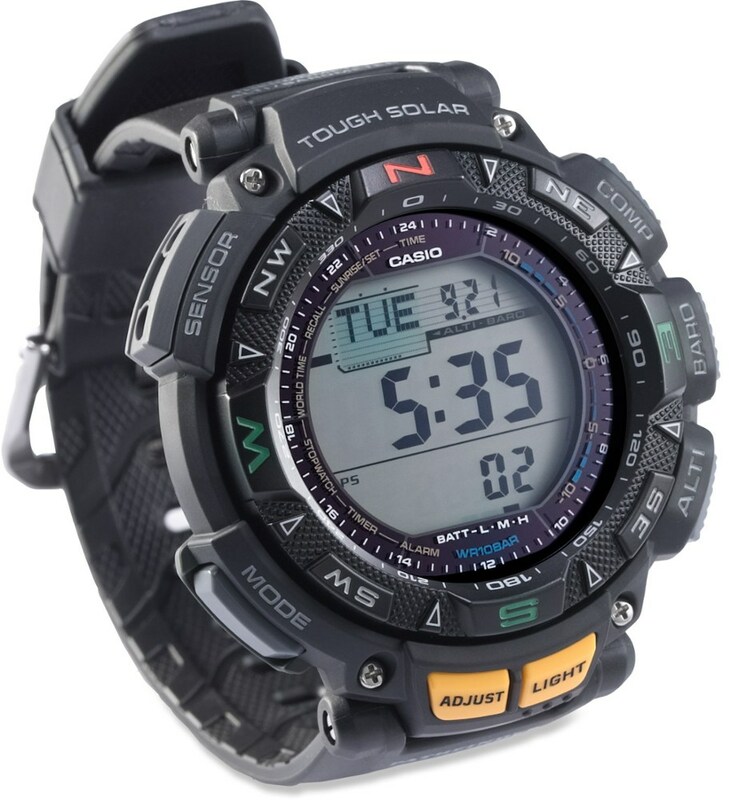 Calibrating the compass and altimeter are time intensive and the operation of the altimeter takes getting used to so be sure and get familiar with the watch before you take it backcountry. The weak point of this watch seems to be the resin band. It appears a little on the weak side and the buckle seem a little cheesy, but I have yet to have issue with it. I am pleased with the watch. 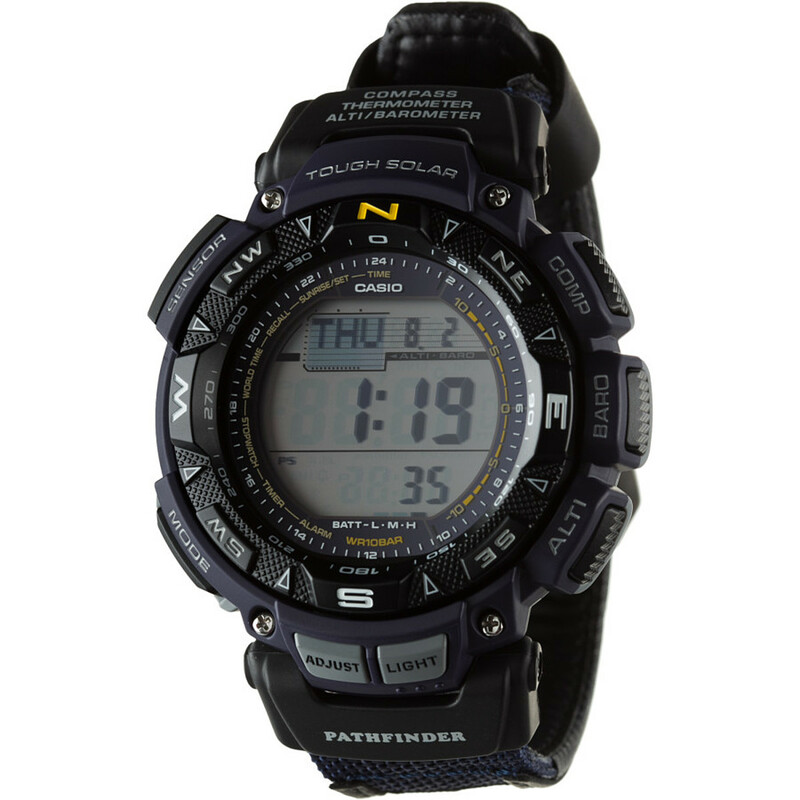 The Casio Pathfinder PAG80-1V is not available from the stores we monitor. 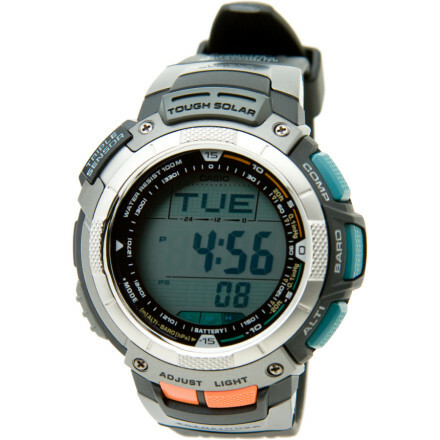 It was last seen December 4, 2011	at REI.